1. In a bowl, combine oats, sugar, flour, and baking soda. 2. Add the melted butter, buttermilk, and egg to the mixture. Mix just until incorporated. 3. Stir in the dried apricots and currants. 4. 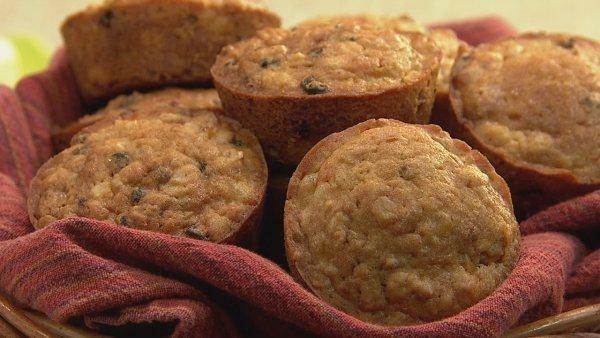 Pour into greased, non-stick muffin tins. 5. Bake in a pre-heated 350 F oven for about 20 minutes, or until browned and a cake tester comes out clean. 6. Remove from oven and let cool.